Richardson Electronics is a leading international manufacturer and provider of complete systems, standard components, and customized solutions for a variety of industrial applications utilizing continuous-wave (CW and pulsed) microwave technology. We design and manufacture high power RF and microwave components for use in CW and pulsed applications, covering the frequency range from 915 MHz to 5800 MHz and pulsed applications from 2998 MHz to 14500 MHz. Our primary customers are OEMs specializing in design and development of, plasma applications, industrial microwave heating systems, linear accelerators or ground, airborne or marine radar. We also offer hundreds of replacement parts in stock and ready for same-day shipping. 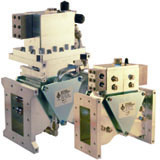 Circulators are three or four-port waveguide components utilizing ferrite technology to selectively direct energy to a specific port based upon the direction of wave propagation. By placing a load on the port where reflected energy is directed, a three-port circulator can be made into an isolator. 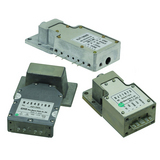 Richardson Electronics offers circulators, which can support power levels up to 100kW for L-band and 30kW for S-band. Isolators are three-port circulators which transmit microwave energy between ports, while directing reflected energy to a port with an attached load. In many industrial heating applications, the isolator is used to protect the magnetron from moding or over-heating caused by the reflected energy. 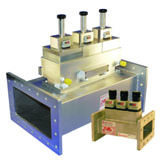 Richardson Electronics offers isolators, which can support power levels up to 100kW for L-band and 30kW for S-band. Rely on New Japan Radio Co. (NJRC) Low Noise Front Ends (LNFE) from Richardson Electronics to reduce frequency pulling and achieve desired noise levels. The use of LNFE decreases design time while offering high performance and cost savings. NJRC manufactures a line of low noise front ends (LNFE) suitable for every machine application, from economical pleasure boat radar to premium performance High-Seas radar. The employment of GaAs FET and HEMT technology allows NJRC to improve performance while decreasing the noise factor. 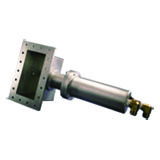 Waveguide is required in a microwave system to efficiently transmit microwave energy from the source (generator) to the load (cavity/applicator). Waveguide can vary in shape, most commonly rectangular or circular, and waveguide size is dependent on the frequency and mode of propagation. Richardson Electronics supports 915/922/896MHz, 2450MHz, 5.8GHz as well as other ISM frequency bands. Waveguide can be supplied as straight sections, bends, twists, flexible and transitions pieces. 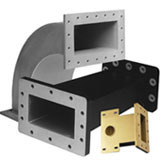 We also offer customized waveguide per your requirements. 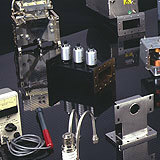 Tuners are waveguide components used to match the load impedance with the source impedance. They minimize the amount of reflected power, providing the most efficient coupling of power to the load. Richardson Electronics supplies both manual 3- and 4-stub tuners, electrical and auto tuners. Auto and electrical tuners utilize motorized tuning stubs electronically controlled remotely or by a microprocessor. Auto-tuners are generally used in applications where the load impedance varies significantly due to variations in the load. 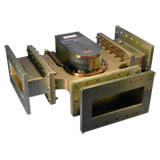 Richardson Electronics offers a vast selection of ancillary waveguide components used to transmit, measure and alter the microwave energy generated from the magnetron. 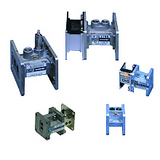 These component sets usually include a waveguide launcher, circulator, water-load, tuners, directional couplers, straight waveguide sections and waveguide bends. 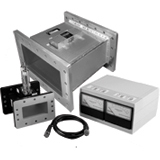 Power measuring devices are waveguide components used to couple power from the waveguide system to measure power, frequency, and other system parameters. These devices include directional couplers and power meters. Richardson Electronics supplies various types of resistive loop directional couplers to meet many microwave system requirements: One type uses the loop coupler terminated in a 50 Ω load with a coaxial connector measuring port to connect directly to a user provided power meter. Another type incorporates a microwave diode to the loop coupler to provide a scaled DC voltage to drive a supplied analog meter box. Additionally, Richardson Electronics supplies power meters that are both convenient and highly adaptable. This power meter automatically corrects for temperature and provides analog and digital linear signal outputs with multiple interface options.